And they weren't all at Shinnecock Hills! The U.S. Open returned to The Country Club for the first time in 50 years to celebrate the golden anniversary of Francis Ouimet's epic play off victory in 1913. 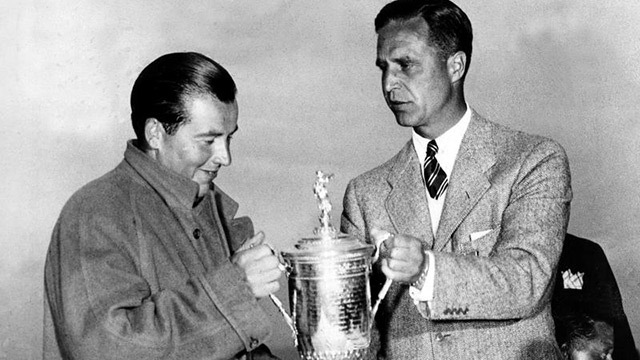 Amid all the broohaha, Julius Borros won his second U.S. Open title in an 18-hole Sunday playoff with Jacky Cupit and Arnold Palmer, after all three players had finished the 72 holes at a post-war record +9. The course was set up right on the cusp of US Open tradition, treading a tightrope which juxtaposed the words 'challenge' and 'farce'. Borros won $17,000 for his trouble. 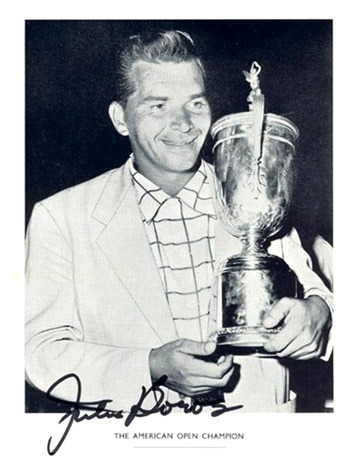 Interesting note about Borros, he remains the oldest player ever to win a modern major in 1968, taking the PGA in San Antonio by a stroke at the age of 48. One of the runners-up was Palmer, who never won the PGA Championship to complete his career grand slam. Palmer, as you can imagine by this stage, had quite enough of Mr Borros. "Just give it will ya!" The following year in 1935, Sam Parks Junior won his one and only major with a total score of +11 at, you guessed it, Oakmont. Parks was the only player to negotiate Oakmont's furrowed bunkers and shaved greens and eventually beat 300 over the week, finally knocking in his winning putt for a four round score of 299. El Pato was in a good position going into round three but struggled, finishing six strokes over par, putting him four strokes behind Aaron Baddeley and two behind Tiger Woods. It looked like his number was up. Getting shots back at Oakmont is rarer than dodo's teeth (That the best analogy you could come up with?! – Ed). Cabrera, however, was not to be denied and came back strongly on the last day. 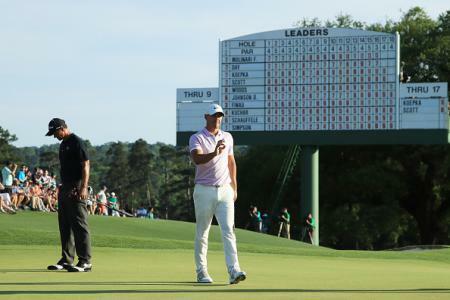 He birdied one of the longest par-3 holes in major championship history when he sunk a 20-foot putt at the 8th hole, which was playing at a ridiculous 300 yards on the Sunday. Cabrera finished -1 for his last round, bringing him down to +5 (285) for the championship, just enough to secure his first career major victory. 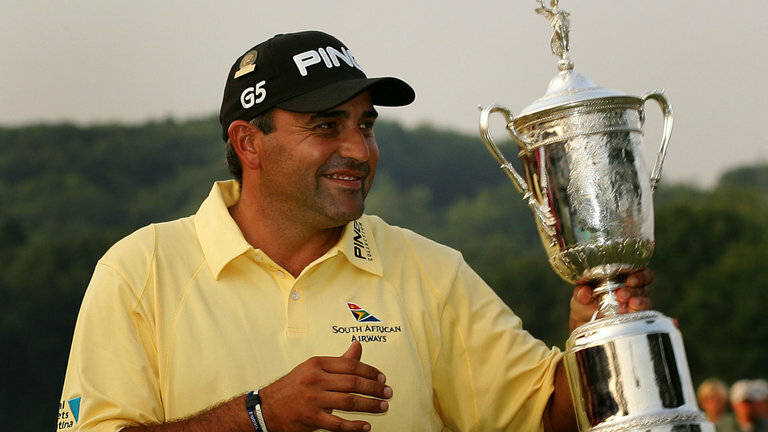 At a post-round interview Cabrera,who became the first Argentinean to win the US Open said: "There are some players that have psychologists, some have sportologists, I smoke." 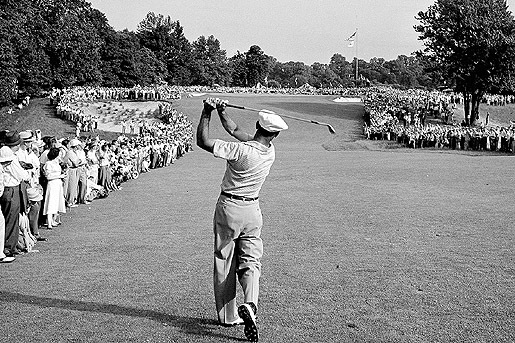 Between the years of 1938 through 1959, Ben Hogan won 63 professional golf tournaments despite his career being interrupted in its prime by World War Two and a near-fatal car accident. On February 2nd 1949, Hogan and his wife, Valerie, survived a head-on collision with a Greyhound bus on a fog-shrouded bridge, early in the morning, in Texas. Hogan threw himself across Valerie in order to protect her, and would have been killed had he not done so, as the steering column punctured the driver's seat. This accident left Hogan, age 36, with a double fracture of the pelvis, a fractured collar bone, a left ankle fracture,a chipped rib and near fatal blood clots. He would suffer lifelong circulation problems and other physical limitations. 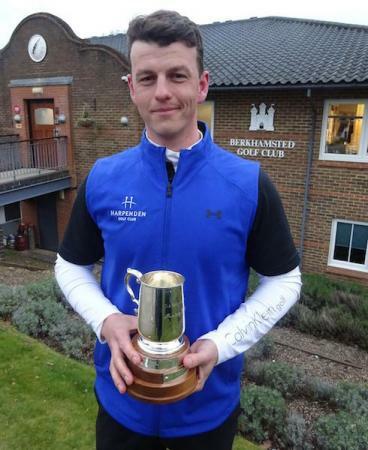 His doctors said he might never walk again, let alone play golf competitively. While in hospital, Hogan's life was further endangered by a blood clot problem which doctors eventually managed to alleviate. Hogan left the hospital on April 1, 59 days after the accident and returned to the PGATour in 1950. He must have thought his problems were behind him. And then the US Open throws Merrion at you. After he'd finished the regulation 72 holes at +7, he was faced with an 18-hole play off against Lloyd Mangrum and George Fazio. Hogan prevailed and pocketed $4,000.00 which he probably spent on sweets or something. 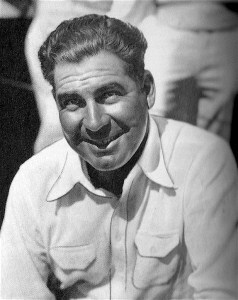 Olin Dutra, who'd won the PGA Championship in 1932, and whose nicknames included 'The Spanish Slammer', 'King Kong' & 'The Golden Basque', won the 1932 PGA Championship (196 holes matchplay), finishing an astounding 19-under-par, went into the 1934 US Open on rocky ground. As if playing the taxing Merrion course wasn't going to be hard enough, Dutra stopped in the Detroit area on his way to Merrion to meet up with his brother Mortie, as both were entered in the Open, and began to feel very ill. He had contracted dysentery. He spent a short time in the hospital, casting doubt whether he could even play in the tournament. He resorted to unusual measures to cope with the infection, and lost close to 20 pounds off his 6 ft 3 inch, 230-pound frame. 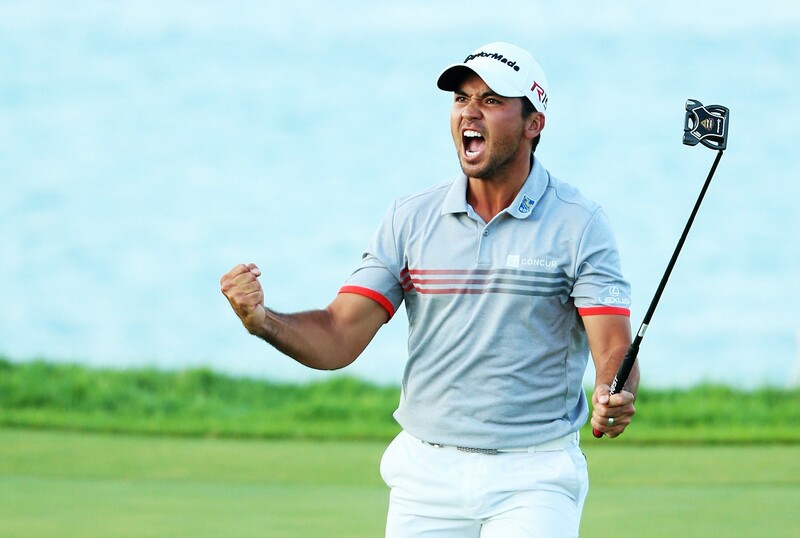 After his first two rounds, Dutra was eight strokes behind the leaders and in 18th place. On the eve of the 36-hole final day, he had another attack of dysentery, forcing him to snack on sugar cubes throughout the day. 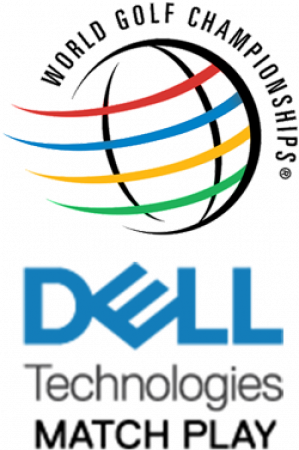 He was still able to shoot closing rounds of 71-72, and held off 54-hole leader Gene Sarazen to win by a single stroke. In case you're wondering, his brother Mortie Dutra finished tied for 28th.